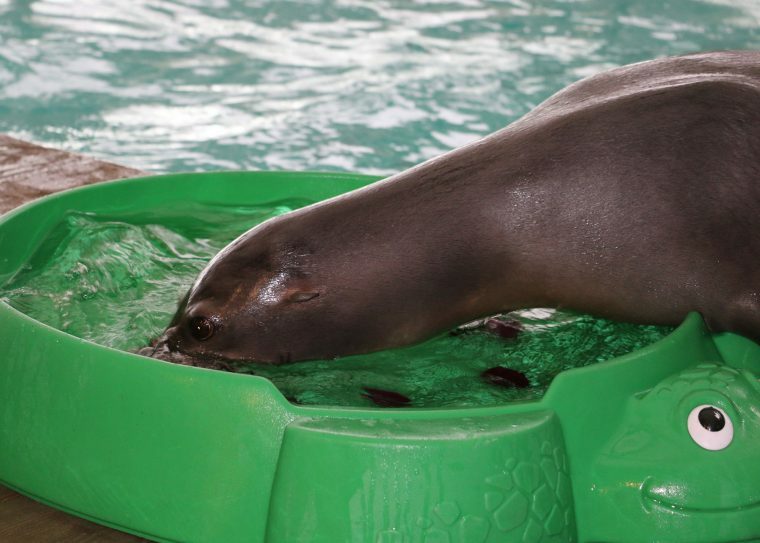 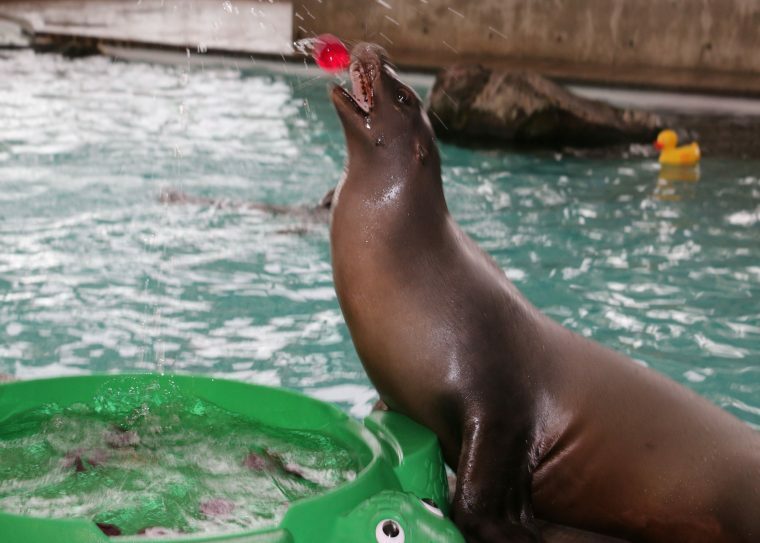 Enrichment play happens every day in the New Balance Foundation Marine Mammal Center. 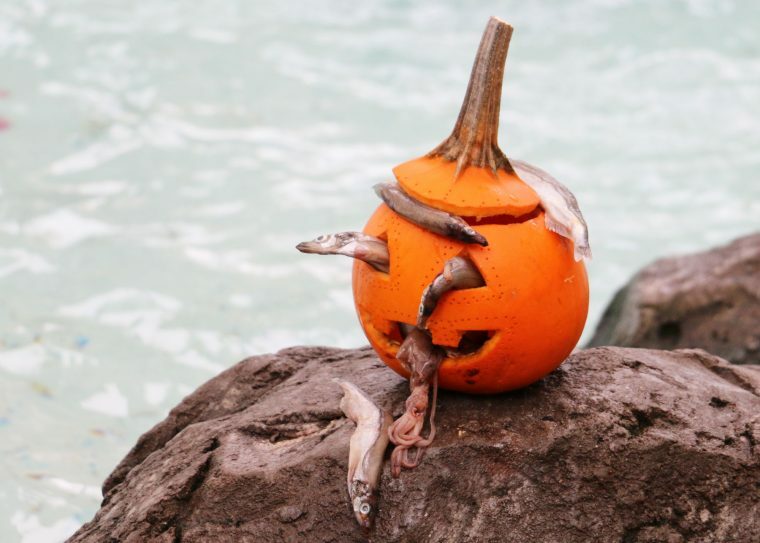 Around Halloween, the play takes on a festive air with jack-o-lanterns and ghastly gelatin toys. 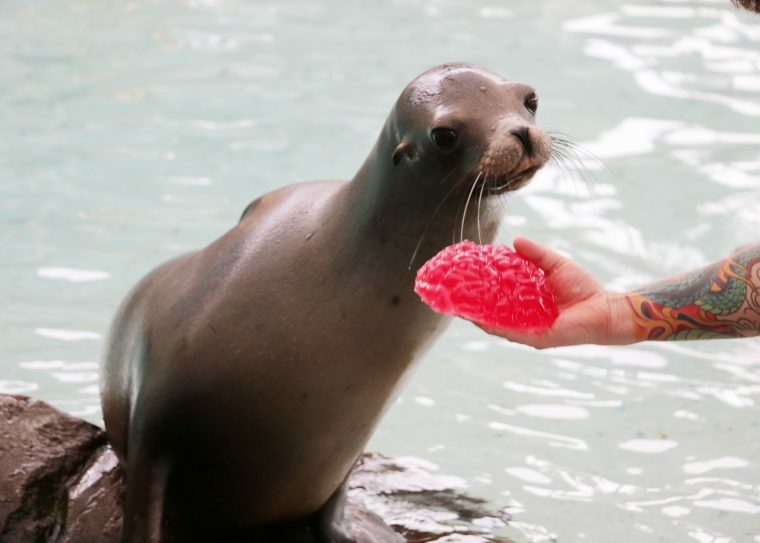 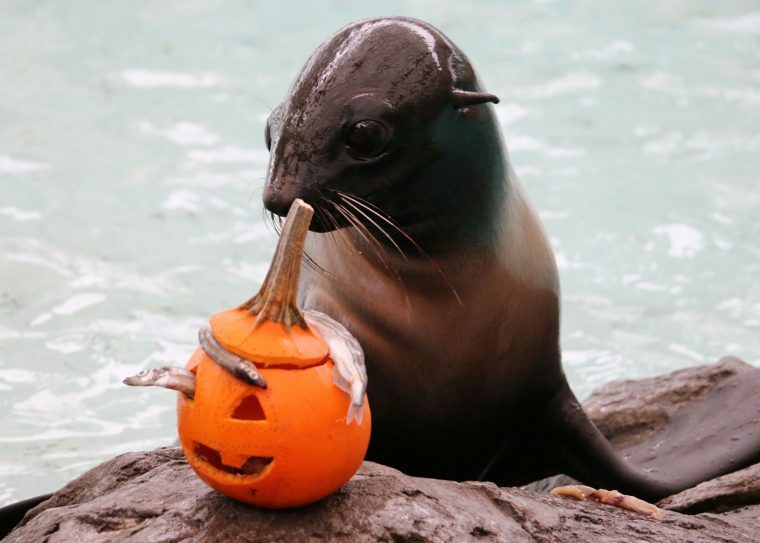 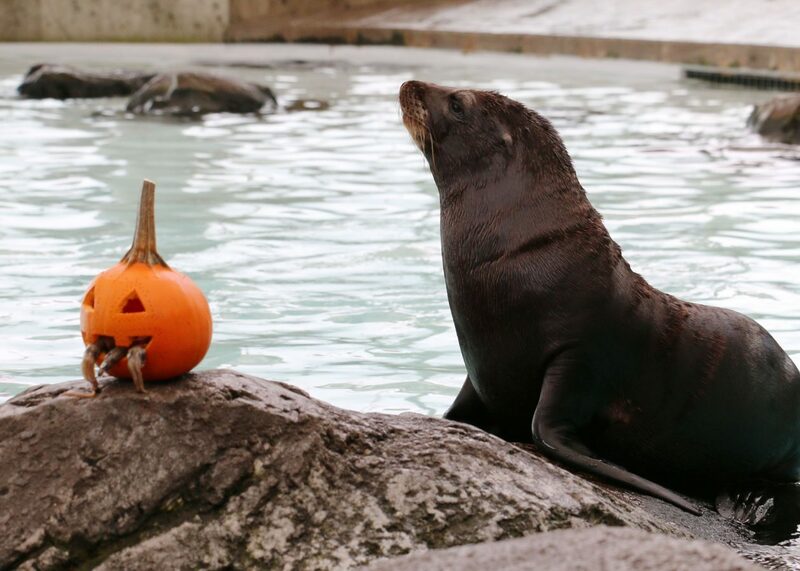 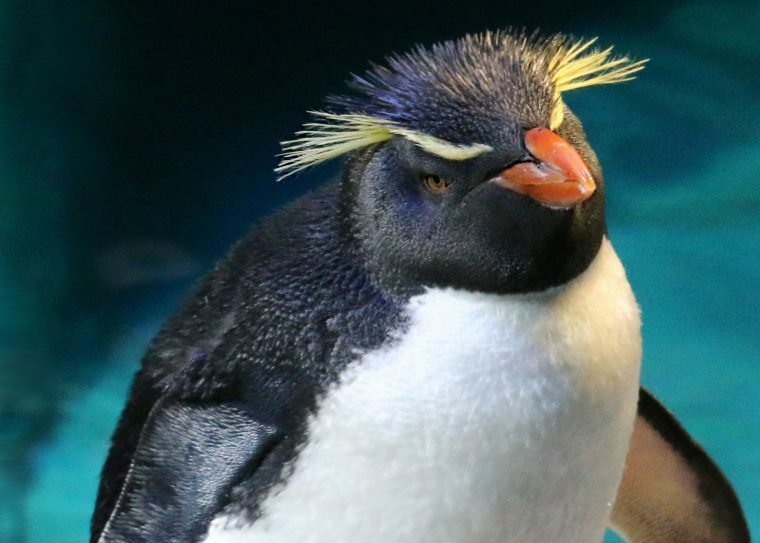 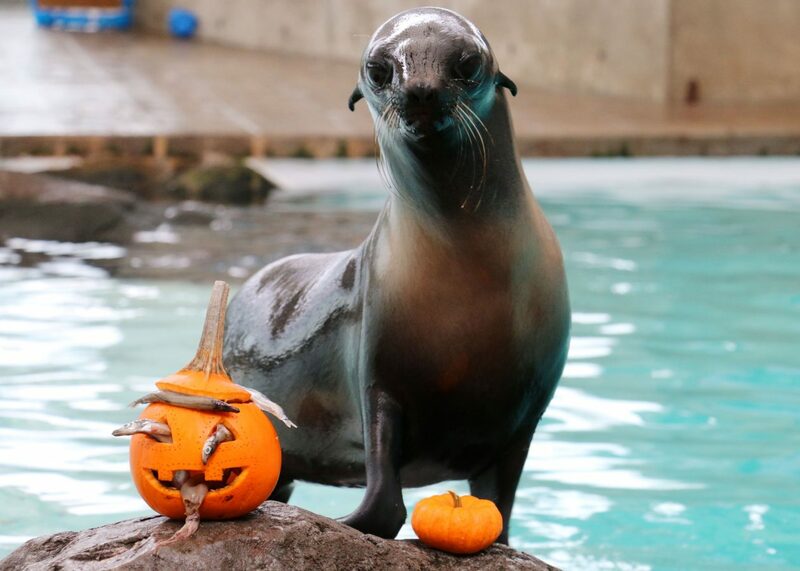 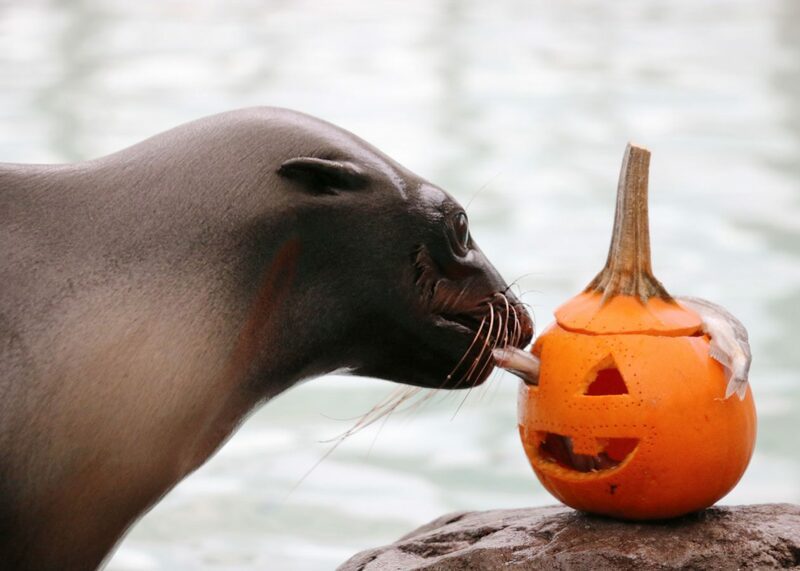 One afternoon this week the trainers presented pumpkins, bursting with fish and squid, and jiggling gelatin enrichment to the fur seals and sea lions. 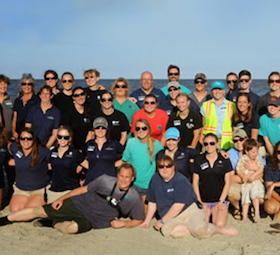 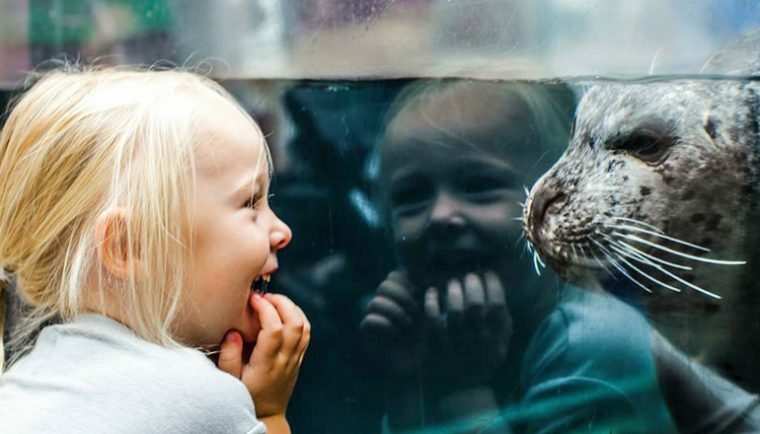 Take a look at the pictures below and you’ll see that fun was had by all. 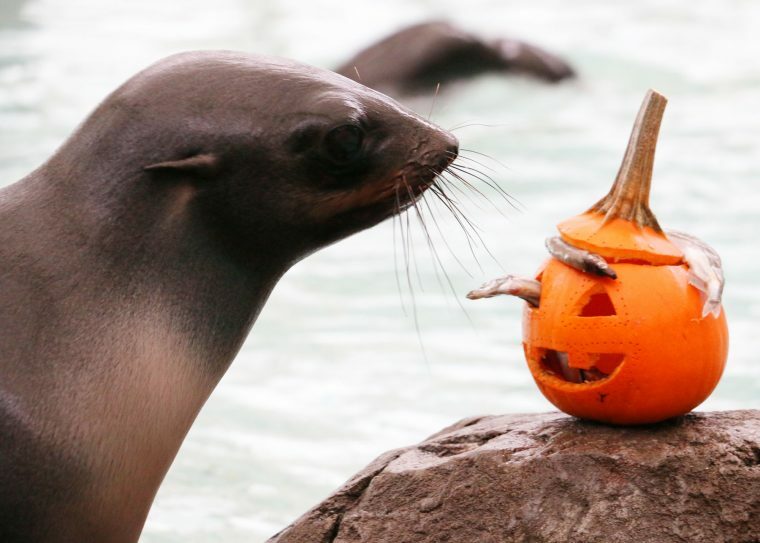 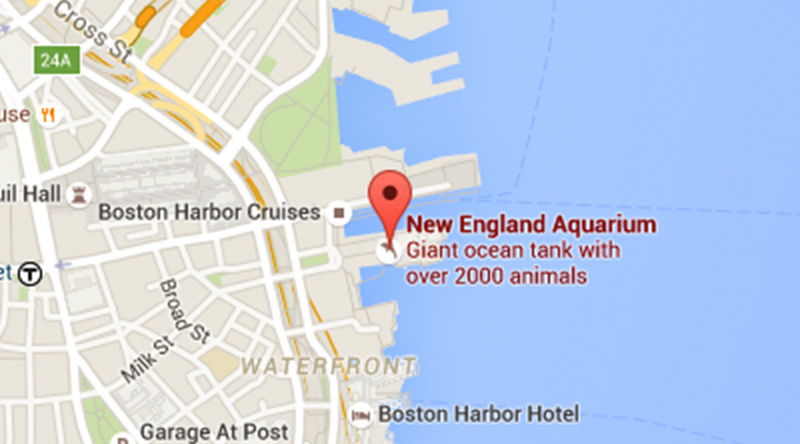 Well… all except one skeptical little sea lion pup. 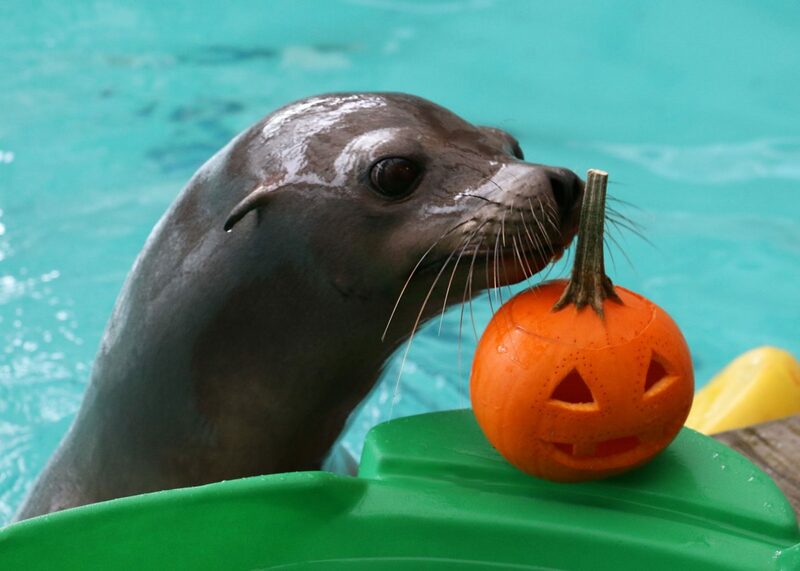 Zoe noses a jack-o-lantern. 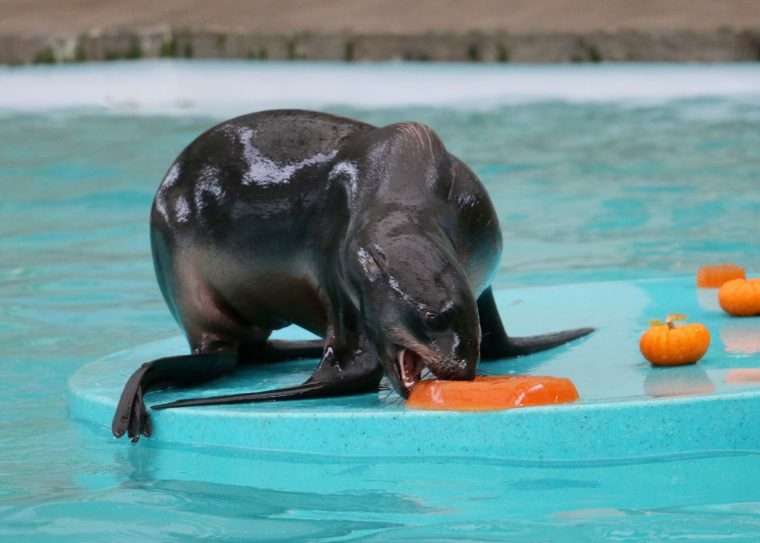 She pulled the top off and into the water to play a moment later! 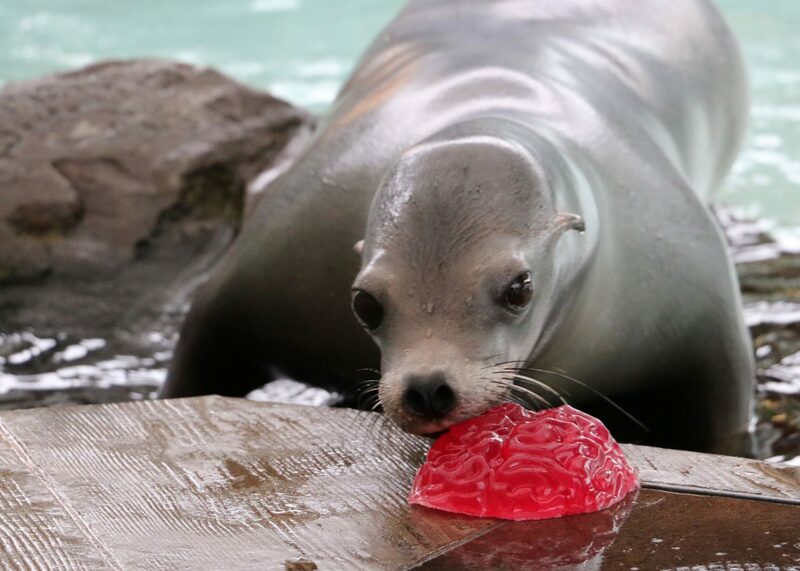 Sierra inspects a brain-shaped gelatin toy. 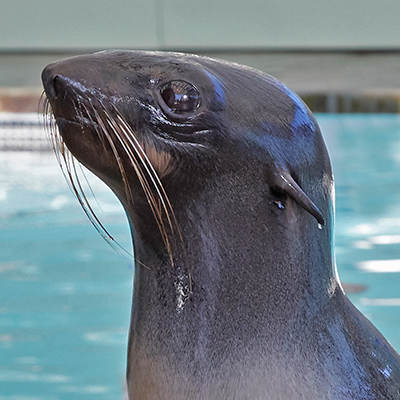 It's almost as if Kitovi was posing for this picture. 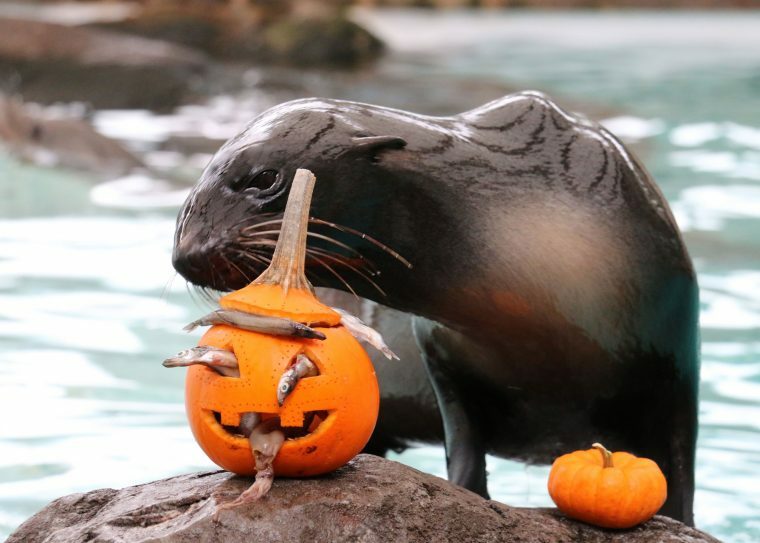 Soon enough she started gently nibbling the squid snacks from the pumpkin. 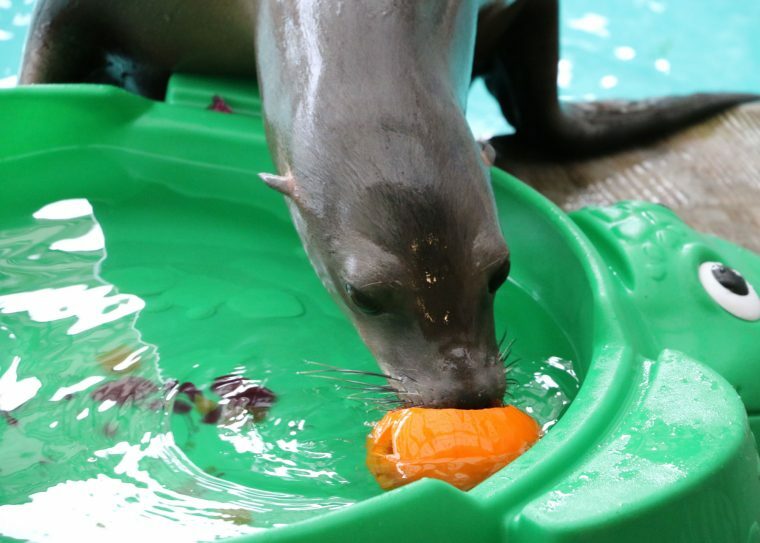 Luna loves her float, and mini pumpkins and gelatin make it extra fun! 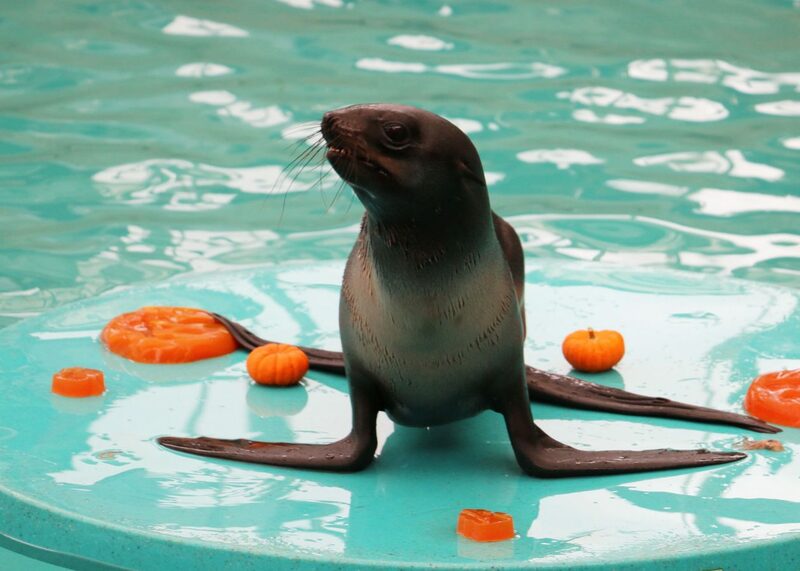 Little old man Ron wants none of your Halloween fun.